Retirement investment options involving gold-funded IRA accounts constitute an excellent way of guaranteeing that your retirement nest egg will not shrink in deadlock with the global economy. The global economic malaise that has held the world in its grip since the financial crisis of 2008 will likely continue for many years to come. 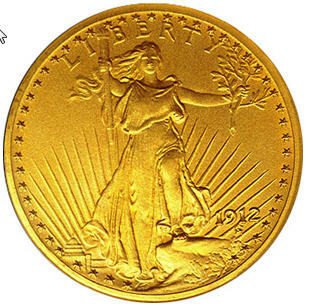 Physical gold (or silver) holdings are not subject to counter party risk. In other words, they can never be defaulted upon because they constitute the ultimate form of payment. In contrast to the 1990s and early 2000s, governments and their central banks around the world are now net buyers of gold. Government bonds (like US treasuries) are no longer the financial safe havens they once were. Even the US - the world's largest and most powerful economy - has suffered international ratings downgrades. More conventional retirement investment options like stocks and bonds are issued either by companies, or by governments. Since 2008, it has become crystal clear that even the largest and most famous names in world finance can go - and have gone - under (see Lehman Holdings, AIG). Some get bailed out, others don't. The same thing is true about governments. The current debacles in Europe concerning the at the time of this writing imminent Greek government default and the recent credit downgrade of even the world's most powerful economy - the United States - are only two examples. There is much more of this to come. Naturally, gold prices have suffered as well in the immediate aftermath of the global financial collapse of 2008, but gold has recovered faster and stronger than any other investment since then and has now left its pre-2008 price levels far behind, as the following two charts show. Follow this link to learn how to set up a gold-funded IRA as one of your retirement investment options. Currently, baby boomers are having a huge issue about retirement. Many of them have not saved enough early-on in their lives to be able to comfortably retire. They tried to make up by buying into the late 1990s stock market buying frenzy. That did not go too well as the stock market crashed in early 2000. When the Greenspan-Fed lowered interest rates and ignited the housing boom of the mid-2000s, boomers thought that this was their panacea for a shiny set of golden years. That dream became a nightmare in 2007-08. this article is just one of many that highlights their plight. But boomers aren't alone. Twenty-somethings reportedly have their own problems to face in these tough economic times. The following article offers insight into their problems: The Economic Agony of Twenty-Somethings. There aren't many avenues left for protecting your retirement wealth. A gold-funded IRA is one of them.